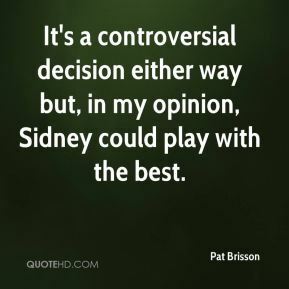 It's a controversial decision either way but, in my opinion, Sidney could play with the best. 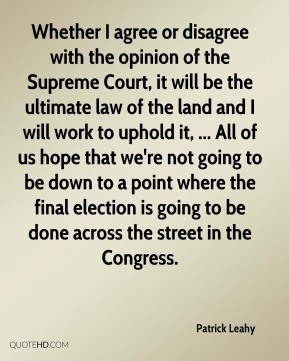 Whether I agree or disagree with the opinion of the Supreme Court, it will be the ultimate law of the land and I will work to uphold it, ... All of us hope that we're not going to be down to a point where the final election is going to be done across the street in the Congress. I respect your opinion. 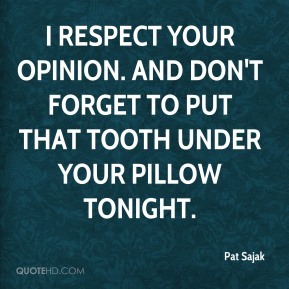 And don't forget to put that tooth under your pillow tonight. 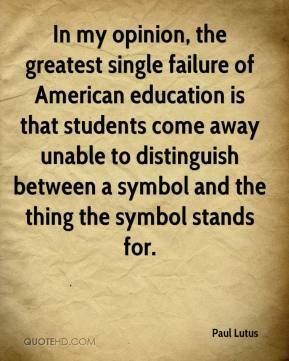 In my opinion, the greatest single failure of American education is that students come away unable to distinguish between a symbol and the thing the symbol stands for. 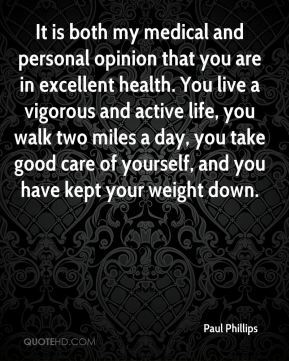 It is both my medical and personal opinion that you are in excellent health. You live a vigorous and active life, you walk two miles a day, you take good care of yourself, and you have kept your weight down. 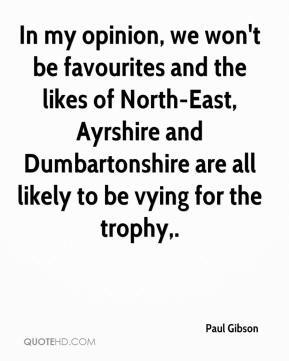 In my opinion, we won't be favourites and the likes of North-East, Ayrshire and Dumbartonshire are all likely to be vying for the trophy. 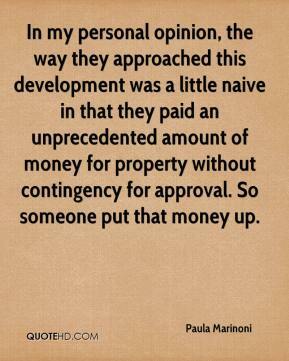 In my personal opinion, the way they approached this development was a little naive in that they paid an unprecedented amount of money for property without contingency for approval. So someone put that money up. What I am about to say, is my personal opinion. 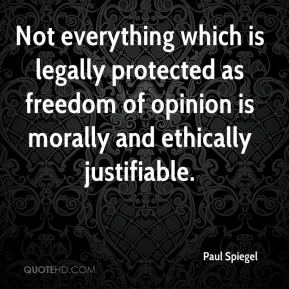 Not everything which is legally protected as freedom of opinion is morally and ethically justifiable. The council is claiming there is a groundswell of public opinion but truly I have not run across one person who has said that's a good idea. 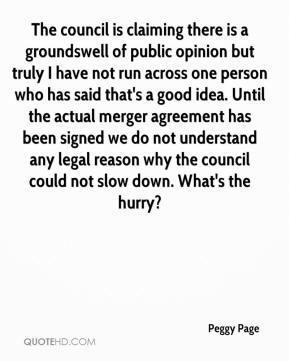 Until the actual merger agreement has been signed we do not understand any legal reason why the council could not slow down. What's the hurry? 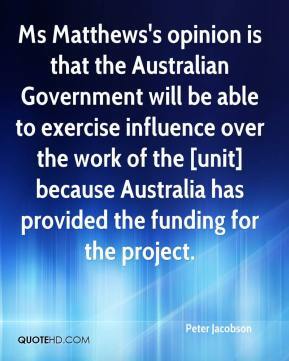 Ms Matthews's opinion is that the Australian Government will be able to exercise influence over the work of the [unit] because Australia has provided the funding for the project. 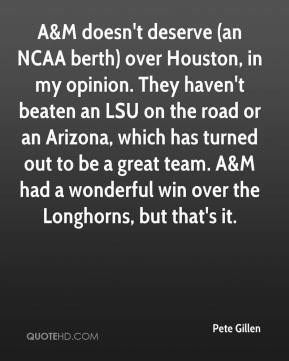 A&M doesn't deserve (an NCAA berth) over Houston, in my opinion. They haven't beaten an LSU on the road or an Arizona, which has turned out to be a great team. A&M had a wonderful win over the Longhorns, but that's it. 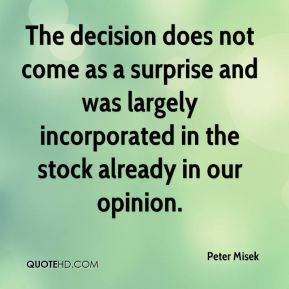 The decision does not come as a surprise and was largely incorporated in the stock already in our opinion. He's not that type of player in my opinion. 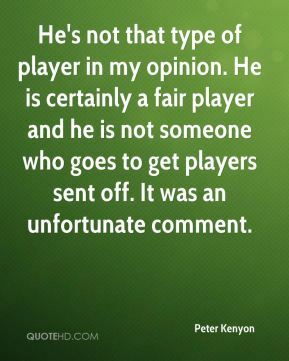 He is certainly a fair player and he is not someone who goes to get players sent off. It was an unfortunate comment. 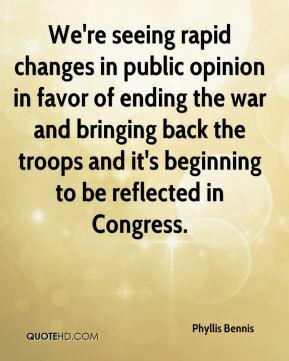 We're seeing rapid changes in public opinion in favor of ending the war and bringing back the troops and it's beginning to be reflected in Congress. 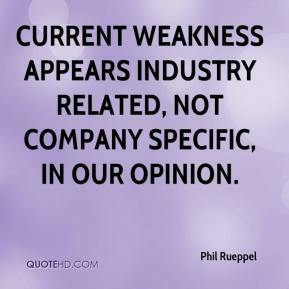 Current weakness appears industry related, not company specific, in our opinion. I'm not writing them because the president's my uncle. It's kind of my own opinion separately. 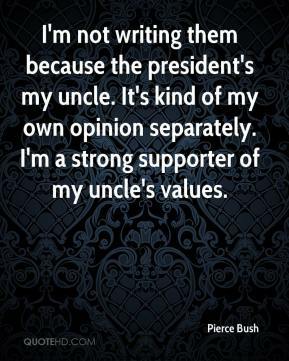 I'm a strong supporter of my uncle's values. Playing well and winning the Super Bowl helped my credibility. Otherwise, when I'd give an opinion, people would say, 'What has he done?' If I didn't win that Super Bowl, I'd probably be coaching somewhere. TV would not be an option for me. So, (winning the Super Bowl) does help. 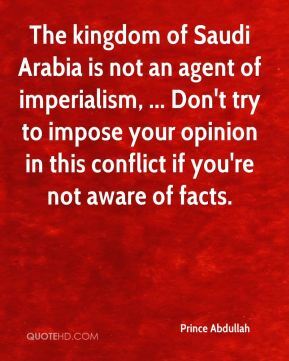 The kingdom of Saudi Arabia is not an agent of imperialism, ... Don't try to impose your opinion in this conflict if you're not aware of facts. 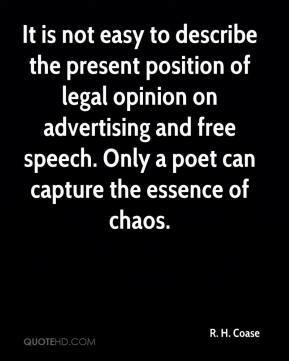 It is not easy to describe the present position of legal opinion on advertising and free speech. Only a poet can capture the essence of chaos. 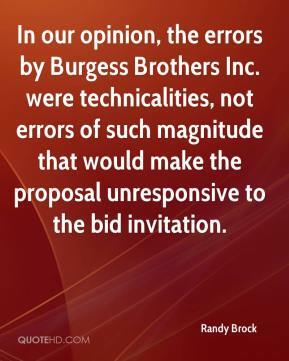 In our opinion, the errors by Burgess Brothers Inc. were technicalities, not errors of such magnitude that would make the proposal unresponsive to the bid invitation. We're under extraordinary financial constraints, and we can't continue doing things the way we've been doing them. 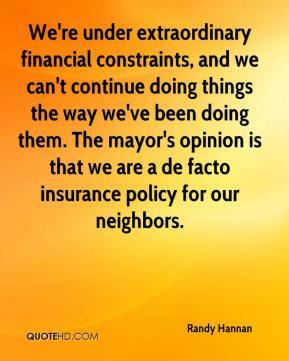 The mayor's opinion is that we are a de facto insurance policy for our neighbors. 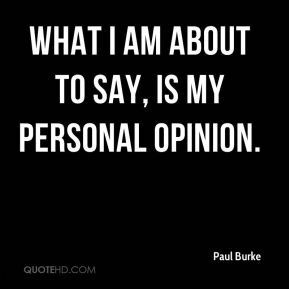 Everybody has their own opinion. 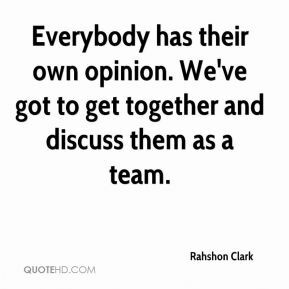 We've got to get together and discuss them as a team. 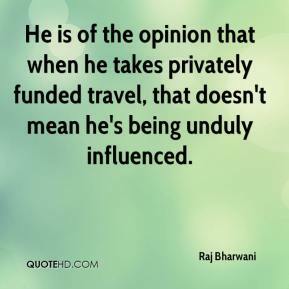 He is of the opinion that when he takes privately funded travel, that doesn't mean he's being unduly influenced. 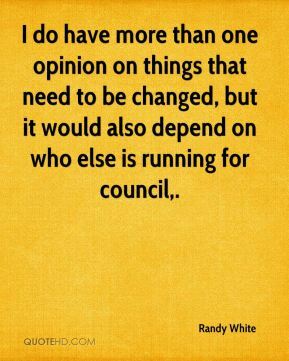 I do have more than one opinion on things that need to be changed, but it would also depend on who else is running for council.